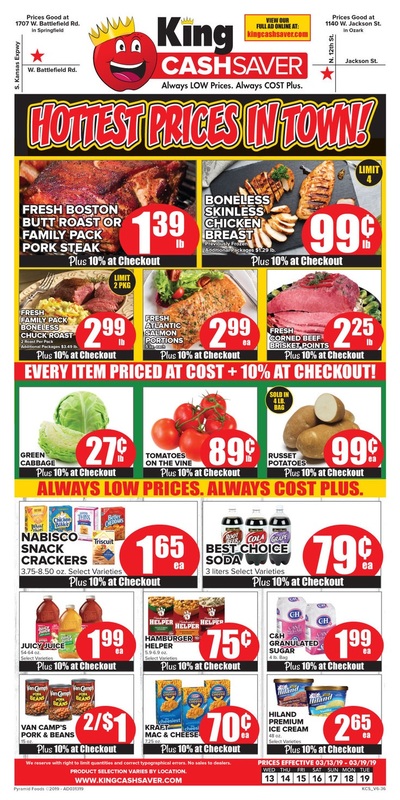 Check the current ⭐ King Cash Saver Ad for this week, valid April 10 - 16, 2019. 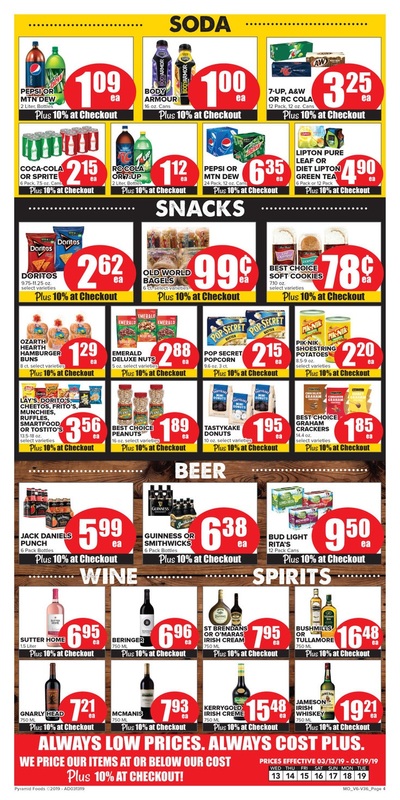 With this circular you can save money when you shop at King Cash Saver store. You'll find all your favorite national brands at King Cash Saver, plus quality Best Choice and Always Save products. There's also a great selection of fresh quality produce, meat and dairy items, all priced to save you money. You'll be able to shop and save on your complete shopping list. 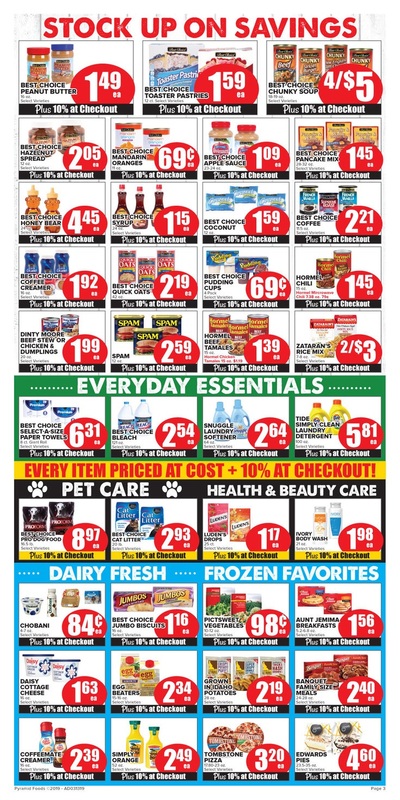 Browse the latest ✅ King Cash Saver Weekly Ad 4/10/19 - 4/16/19 here and get specials deals on this local sales ads. There's no card or special membership required, so visit King Cash Saver and start saving today. Everything in King Cash Saver is priced at cost on the shelf, with just 10% added to your total bill when you check out. 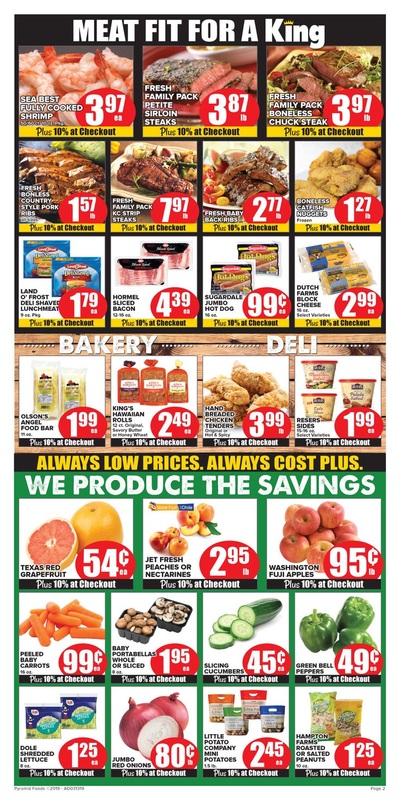 Here is the latest King Cash Saver Ad preview for this week, valid for Springfield, Ozark, Lebanon, and Carthage, Missouri, and in Parsons and Baxter Springs, Kansas. Don't miss to save this flyer and bookmark this page in your browser to get upcoming ad for King Cash Saver.